I never tired, in this blissful zone. by vine-like, jumbled stems, a nest or two! I protecting, guarding, in cahoots. with grandsons, knighted sentries: Torch now passed. This was written in response to the Wordle below. 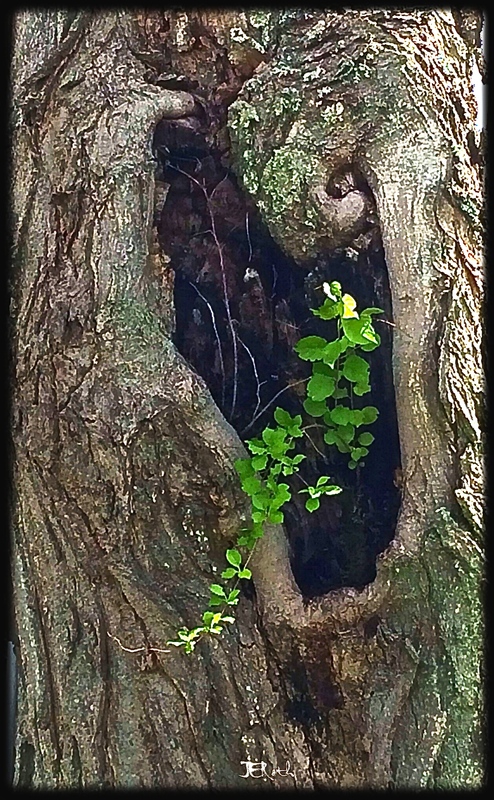 However, I was inspired by the exquisite joy I feel as a grandmother, when sharing the simple memories of my childhood (like a secret treasure hole in an old tree trunk) with them and see again, through their eyes,once the wonder of discovery and adventure that I once felt. I pass my loving torch to them each day, through small moments such as these. I love this! Beautiful. I believe this is my first visit to your blog. I very much enjoyed it. Thank you. I am so happy that you stopped by and glad that you enjoyed the sonnet. I’ll return the visit!